Puurs, Soragna – 21 February 2018. The collaboration between the independent Belgian brewery Duvel Moortgat and the Italian brewery Birrificio del Ducato is reinforced. In December 2016, Duvel Moortgat announced the acquisition of an initial stake in the Italian brewery, and now Duvel Moortgat is acquiring a majority stake of 70%. Duvel Moortgat will continue to support Birrificio del Ducato in realising the plans for their beers and to stimulate further international growth. With full respect for the beers and traditions, the Belgian and Italian teams, led by the founders Manuel Piccoli and Giovanni Campari as master brewer. Duvel Moortgat is a Belgian family owned company with various breweries throughout Europe and the United States. In recent years, this family brewery has consistently demonstrated that with passion for the craft and attention to the authenticity of the brewery and the beers, a takeover can have a positive impact for all stakeholders. Duvel Moortgat diligently supports a strong family of craft brewers, who each brew their own beers with respect for their roots and according to their traditional brewing methods. Duvel Moortgat will provide the know-how to guarantee the best quality and decided to invest in a new production line. "We share the same values and we believe that quality, craftsmanship and innovation are the best basis for long-term success", says Michel Moortgat. 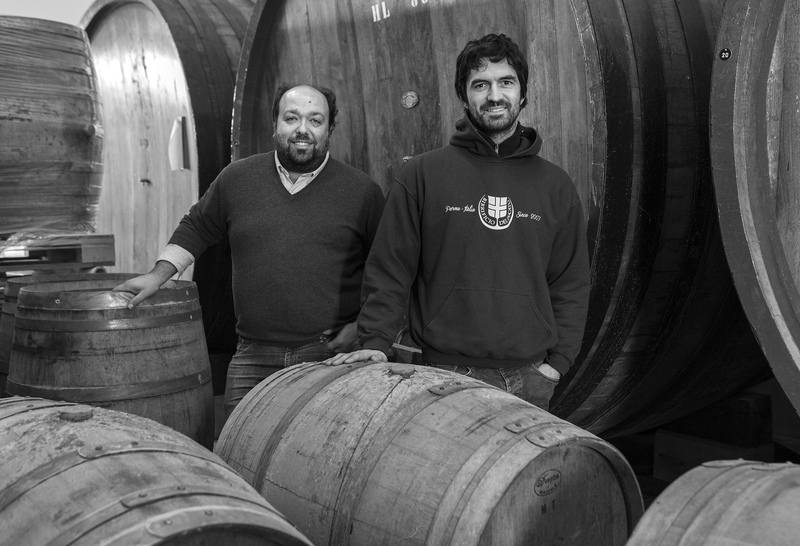 "We will bring our experience built up over multiple generations to supporting Birrificio del Ducato and together we aim to ensure that these specialty beers can be enjoyed in the rest of the world as well. Italy is renowned for their delicacies and we want to make our own contribution to allowing the rest of the world to discover the exceptional beers of Birrificio del Ducato." Manuel Piccoli and Giovanni Campari have confidence in the Duvel Moortgat team. "For brewers worldwide, it is important to be able to build further towards the future with unfailing devotion and vision. The brewers at Duvel Moortgat are passionately committed to their beers and have a true mastery of the craft." "Birrificio del Ducato is like a child to us, born from a vision, a passion, a dream. After a long period of being active in Birrificio del Ducato, in the course of essentially 10 years of sacrifice, struggle and financial investment, which was also accompanied by respect and recognition in the artisan beer industry, we received a number of proposals from various large beer companies. Each time, we rejected the proposals because we knew that they would never be able to support our philosophy. Beer never turned out to be their priority - they could only talk about the profits. They never mentioned the importance of partnership in projects based on concern for quality, innovation and improvement of brewing methods and techniques." "We therefore made a very conscious choice for Duvel Moortgat because they are different. Duvel Moortgat is guided by its family values and for that reason, they never asked us to take a different course with regard to our beer production, brand positioning or commercial attitude. Michel Moortgat instantly understood and shared our vision and values, without any need for explanation or persuasion. What's more, we've always had respect and admiration for the fantastic quality of the breweries that belong to the Duvel Moortgat family. Some of them have been a tremendous inspiration for us from the start. Now we can look ahead to the future with optimism and hope, with a partner like Duvel Moortgat who shares our vision, passion and dreams." Birrificio del Ducato is a craft brewery, launched in 2007 by two partners, Giovanni Campari – the brewer of the two of them – and Manuel Piccoli. Birrificio del Ducato has received many honours (including ‘Italian brewery of the year’ in 2010 and 2011) as well as almost 100 national and international awards: 40 gold medals, 28 silver and 24 bronze. Birrificio del Ducato brews a wide variety of types of beers: their main beer is Via Emilia, a Keller Pils.